Are you looking for Big Data Jobs in Bangalore, Java Jobs in Noida, Jaipur, Bangalore, Hyderabad, Mumbai, Pune, and Nagpur?? Experience in designing and implementing data engineering, ingestion and curation functions on the Azure cloud using Azure native or custom programming. Experience in designing and building production data pipelines from ingestion to consumption within a hybrid big data architecture, using Java, Python etc. Experience in designing, building and operationalizing large-scale enterprise data solutions and applications using one or more of Azure data and analytics services in combination with custom solutions – Spark, HDInsights, Azure Data Lake, SQL DB/DW etc. Hands-on Azure experience with a minimum of 1 solution designed and implemented at the production scale. 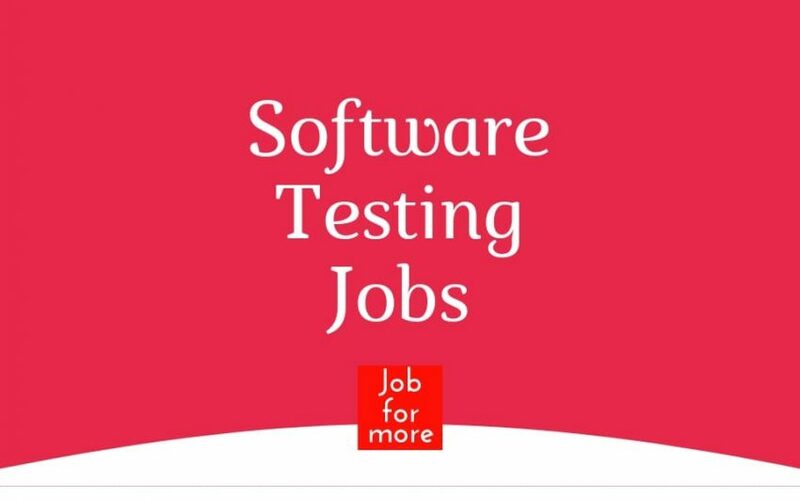 We in search of Application Developer Lead profiles to lead the effort of design, build and configure applications to meet business process and application requirements. Maintaining data architecture standards across all the business databases. Knowledge- Talend Data Fabric using spark components-Talend Big Data ETL Tool. Talend architecture, products, and their integration. Build and optimize ETL codes using Talend Big data tool. Hands-on knowledge of Map Reduce, Spark with Scala, Python, HiveQL, Spark, SQL. Work closely with the Enterprise Architecture team, BA and/or customer and come up with the low-level design. Conduct code reviews and take the responsibility for overall code quality, coach and mentor team members. Prepare and review Design Documentation, Perform SCM operations branching, merging, tagging, conflict resolution. Core Java, J2EE, Spring, Hibernate, Web services (REST API), AngularJS, Application Server, Transaction Management, Valid B1 Visa. A3 Logics India Pvt. Ltd.
Technical Requirement For Java: Exception Handling, Collections API, Best Practices (such As Avoiding Code Duplication, Avoiding Hard-coded Values Etc).Candidates Should Have Designing Concepts Experience. Candidates With Build Tools Experience (ant, maven Etc..). Good Knowledge Of Oops Concepts, Hibernate, And Spring Version 3.x 1, Spring Dependency Injection (IOC, MVC, JDBC, JMS, Etc). Understand User Requirements Or Functional Specifications. Defect Fixing & Performance Optimization. Indecomm Global Services India Pvt Ltd.
Drive complex technical projects from the planning stage through execution. Conduct design reviews, code reviews, and work closely with product management and product stakeholders. Work with a team of software development engineers and collaborate with the global engineering team. Develop enhancements to the existing product line as well as design and develop the new product line. We are looking for Software Developers with at least 4 years of experience in Core Java, Spring and Hibernate experience to join our product development team. Bachelors Degree in Computer Science or an engineering field. Masters/Advanced Degree is a plus. A minimum of 4 years experiences in software design and development using Java. Product development experience a plus. Should have experience using design patterns. Must be proficient in SQL preferably across multiple databases. PLSQL or other procedural language development experience is a plus. Fresher and done any training on java. At least 3 to 5 years of Core Java. Strong knowledge of Spring framework. Strong knowledge of relational database. OpenIAM is looking for exceptional a Java developer with 4+ years of experience to join its Identity and Access Management (IAM) product engineering team. Team members will have an opportunity to use some of the latest tools to build large-scale, intelligent systems. Should have good technical knowledge either in C, C++ or Java with excellent coding skills. Good communication skills both written and verbal. Build robust, flexible and highly available solution using appropriate and best-of-breed Java technologies. Work in a challenging environment in terms of quality and quantity to address ongoing client needs. Plan and implement integration between proposed development and existing systems in terms of hardware and software platform. Micro Focus Software India Private Limited. As a technical contributor design and implement solutions for customer-centric innovations within the product Review and understand functional requirements to be able to conceive and present prototypes focusing on workflow and usability. Experience on Grails for Web Applications, Grails Views, Grails Controller, Application Model, Grails Views & Grails Web Application. Good experience in Groovy which includes Groovy scripting language, Groovy Interpreter, Dynamic typing, Classes, Functions and Objects, Dynamic Methods, Scripts, Integration with Java, Operator Overloading, XML and JSON parsing. At least 8+ years of commercial experience developing Java-based backend applications and microservices. Proven experience of leading delivery teams, direct client communication, and contribution to architectural and design decisions. Bachelor or Masters degree in Computer Science or similar areas. Good knowledge of Unit testing using TestNG with Mockito, Code review, and other development processes. Good exposure to software development practices e.g. designing, code-reviews, unit testing, continuous integration, code coverage, release management. Good understanding of configurations tools (Gradle, SVN, JIRA, GIT), UML, agile methodology and project support systems.